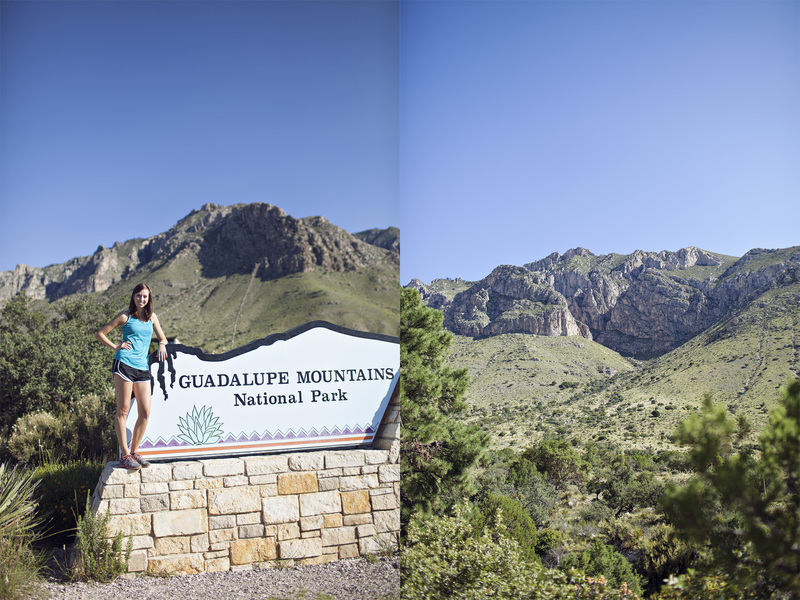 A few weeks ago two of my friends and I drove down to New Mexico and west Texas to went to visit Carlsbad Caverns National Park and the Guadalupe Mountains National Park. Seeing all the National Parks in the United States is one of the items on my bucket list. (I’ve seen 7/59, Woo!) 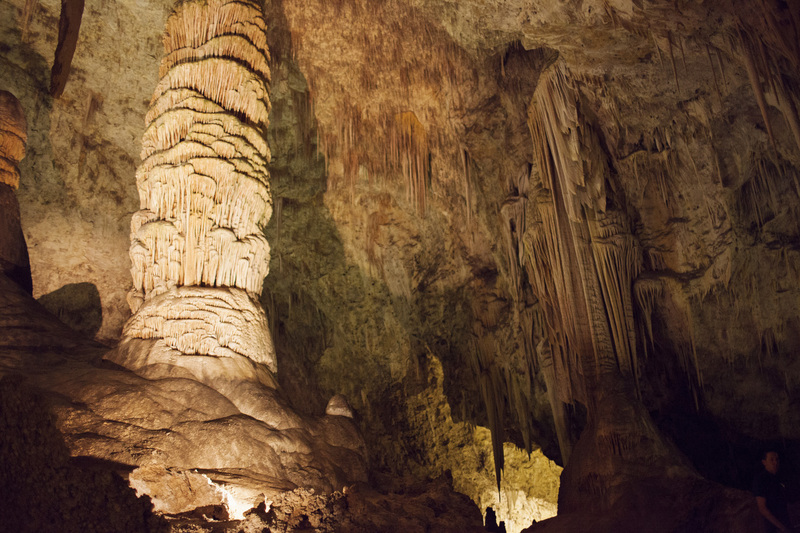 Carlsbad Caverns and Guadalupe Mountains are approximately 50 minutes away from each other, so we decided to visit both in a weekend. Both of these national parks provide unique experiences for both the extremely adventurous and not-so-adventurous folk. 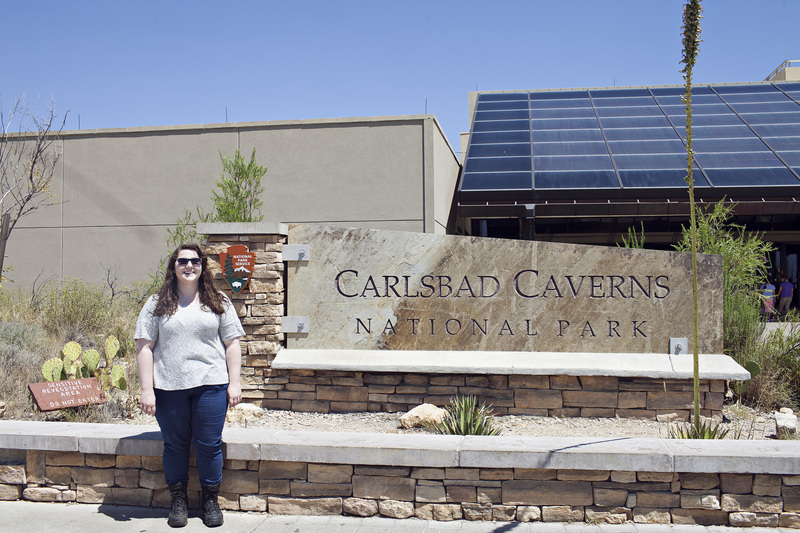 Carlsbad Caverns offers self-guided cave tours, ranger guided tours (some include spelunking), a bat flight program and a night sky program. 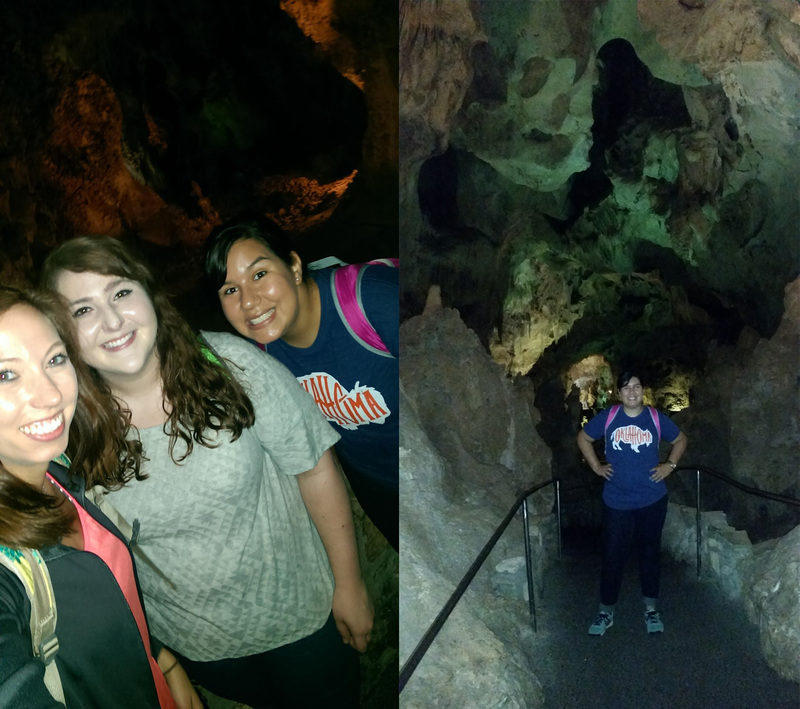 We did a self-guided tour down the natural entrance, which led into The Big Room. Approximately a three-mile trek. Sadly, we didn’t do either the bat flight program or night sky program due to time. 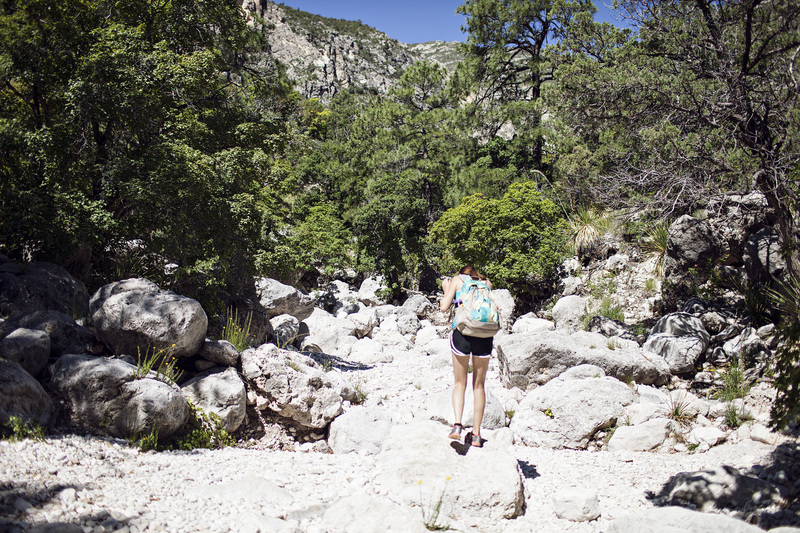 The Guadalupe Mountains offers many hiking trails both for the extreme hiker and the beginner hiker. 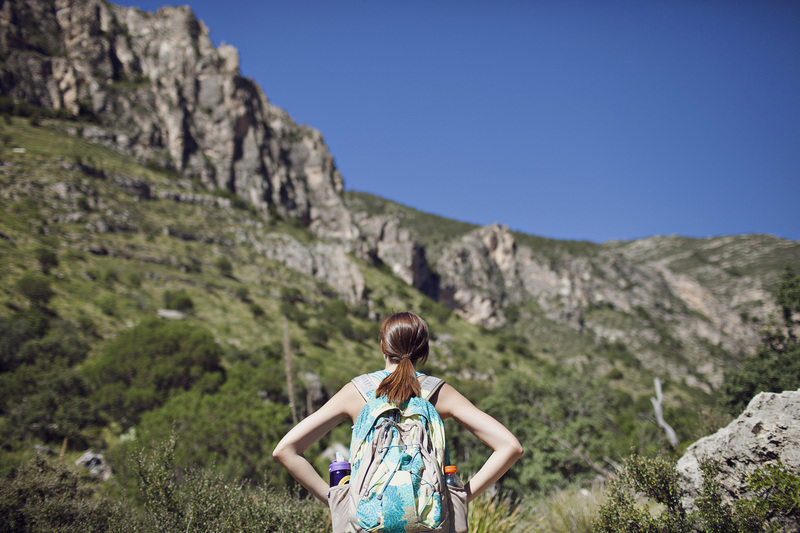 Trails range from half a mile to 11.3 miles. This national park is not for the faint of heart (if you get ambitious, like we did) and requires some preparation for the hike. So which one should you visit? Depends on what you want to see. If you have the time both are definitely worth seeing. 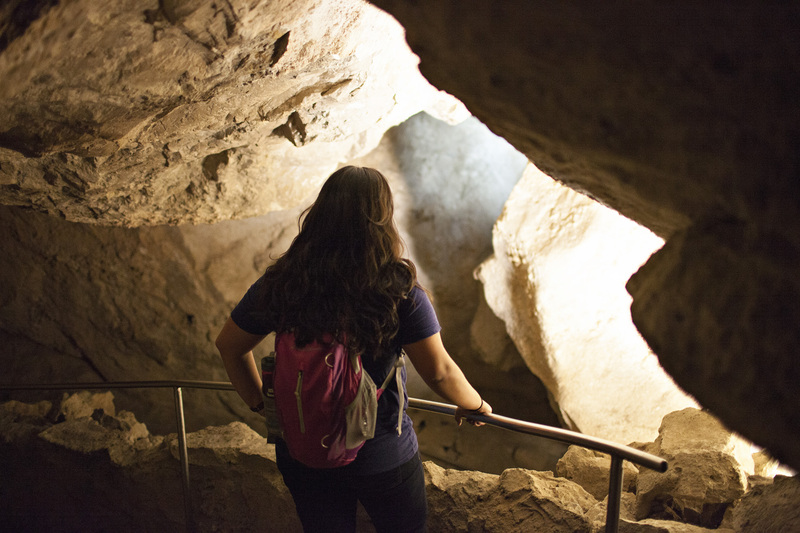 There are two options to get down into the cave: the natural entrance or you could ride an elevator down to The Big Room. We decided to take the natural entrance down to the cavern. It was steep, but was worth the extra views. 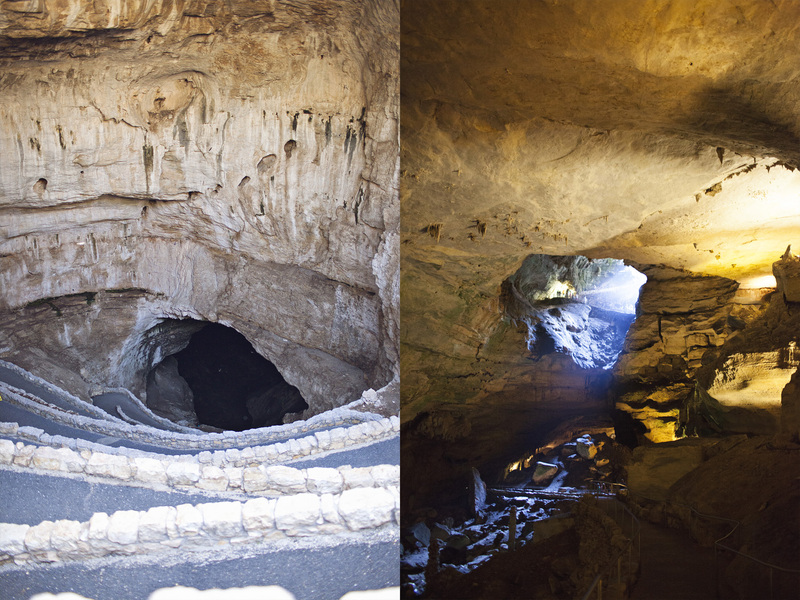 (Left: Natural Entrance, Right: View of the “Twilight Zone” once inside the cave) Once you get into the cave you are surrounded by incredible views, including some famous stalagmites and stalactites formations. 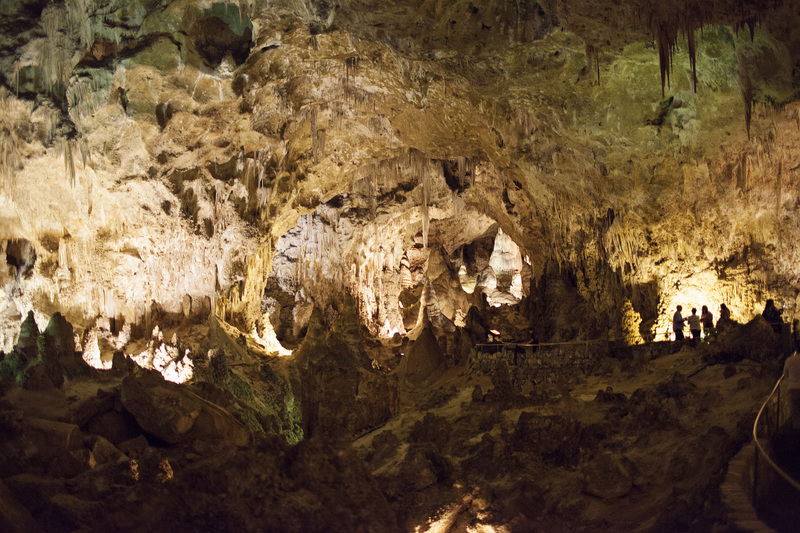 This is one of the many formations in the Hall of Giants. 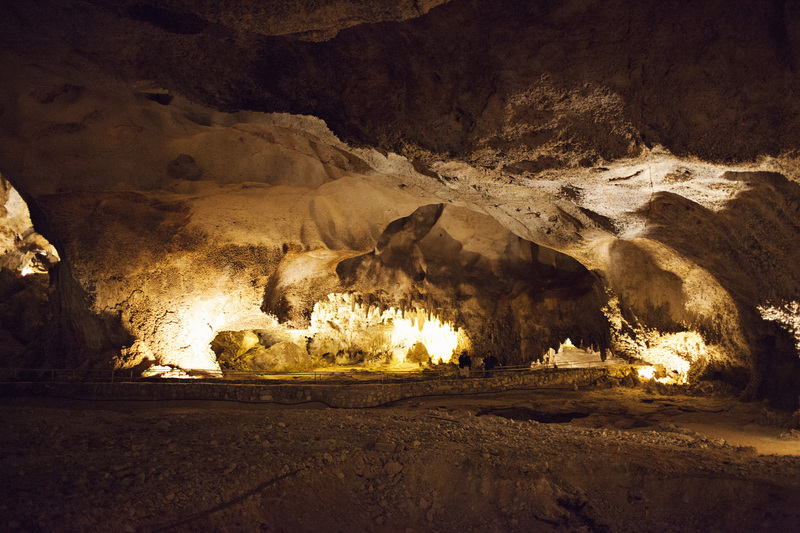 The Big Room, the largest single cave chamber by volume in North America, is a 1.25 mile route. According to the National Park Service website, “roughly 6.2 football fields would fit into the Big Room.” So it is definitely a sight to see! 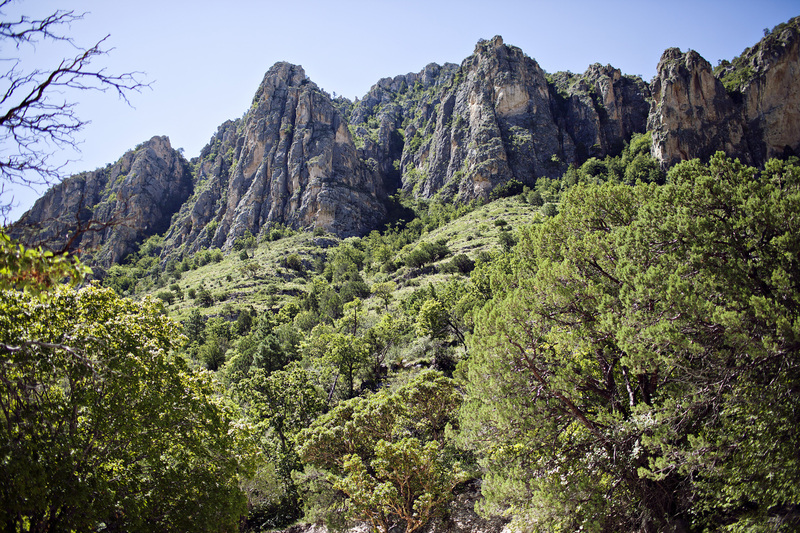 Guadalupe Mountains National Park, home of El Capitan (not to be confused with El Capitan of Yosemite) and Guadalupe Peak, the highest peak in Texas (8,751 ft). 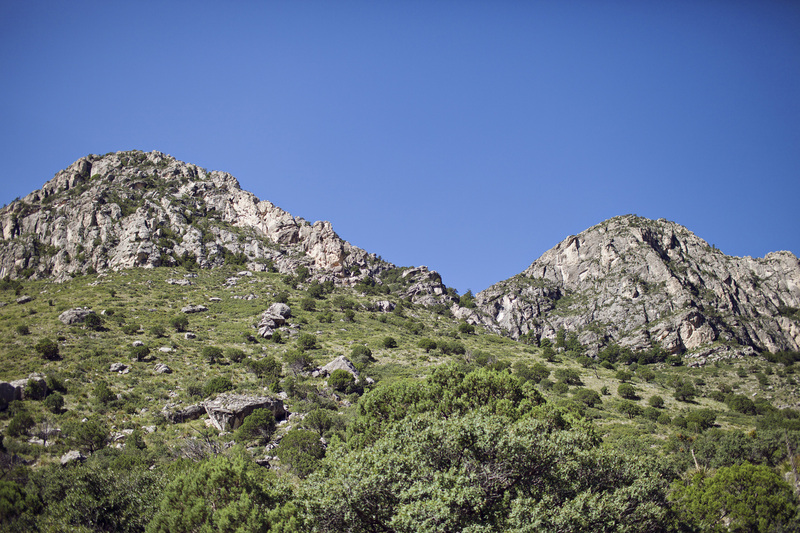 We chose to do the Devil’s Hall Trail due to time, weather (end of July in west Texas equals HOT), and lack of hiking experience. Ha! 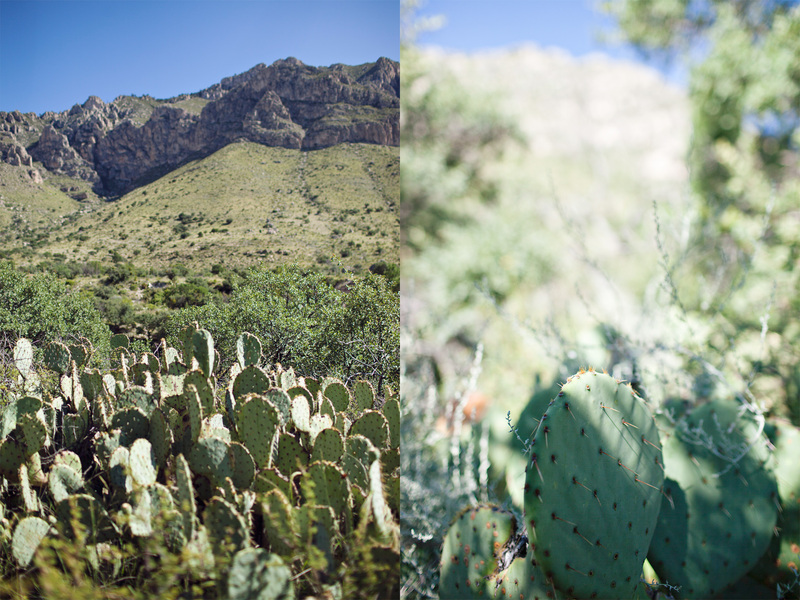 Being in the desert (specifically the Chihuahua Desert) there were plenty of cacti. I was in love! The last 2.5ish miles of the Devil’s Hall trail required some serious boulder climbing as it was in a river wash.
Carlsbad, the town, is definitely a town because of the nearby national park. As a typical small town, there wasn’t a whole lot to do. They have a small downtown with many antique shops. Nearby is the Living Desert Zoo and Gardens, which we didn’t have time to see. We ended finding some delicious restaurants and an awesome ice cream place (we went to it every day, it was that good). 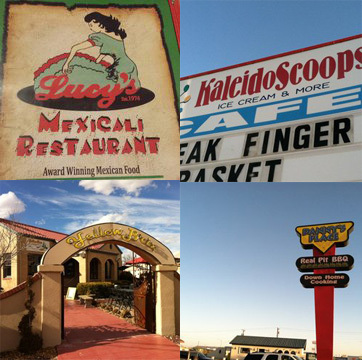 Right off the main road through Carlsbad, Lucy’s was a delicious Mexican restaurant choice. I have a sampler platter of Mexican dishes with lots of green chile. Best ice cream I’ve ever had! The handmade waffle cones are amazing. Definitely a must visit. This restaurant was my favorite of the trip! It was cozy and slightly fancy. The food was amazing! Sarah and I both had Mexican dishes (when in New Mexico, green chile for every meal). Cecily had the Margarita Chicken and it was the best Margarita chicken I’ve ever had! Being from Oklahoma, I was a little skeptical of “new mexican” barbecue, but I was pleasantly surprised. I had a green chile burger (can you see my theme here) and it was really good! Definitely could taste the green chiles. 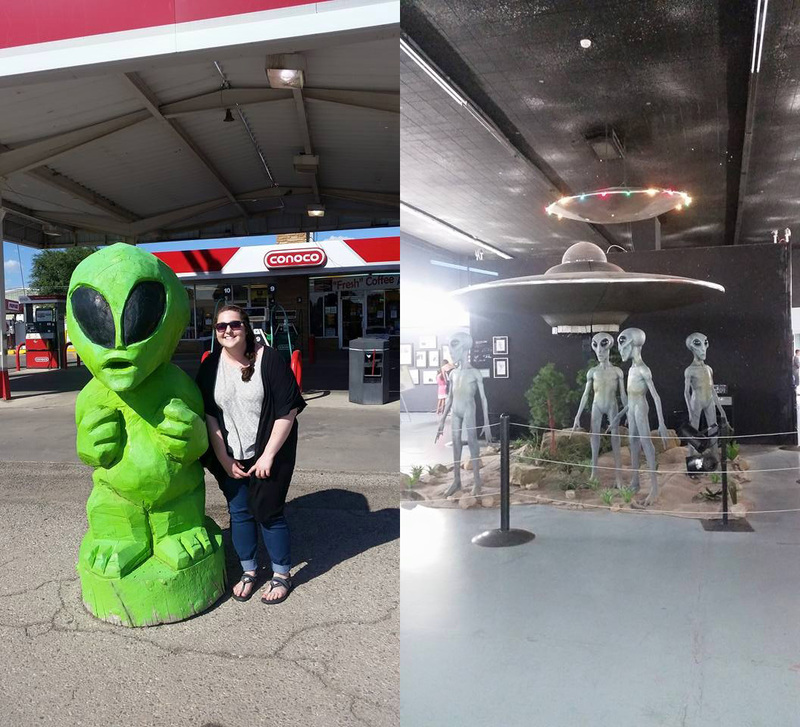 Carlsbad, NM was only an hour-and-a-half from Roswell, NM., also known as “the alien city.” So of course we took a little detour to see the aliens. This quaint town has really embraced the alien theme, as the International UFO Museum attracts many tourists a year. It also holds a yearly festival, the Roswell UFO Festival. Worth checking out, especially if you’re in to aliens. 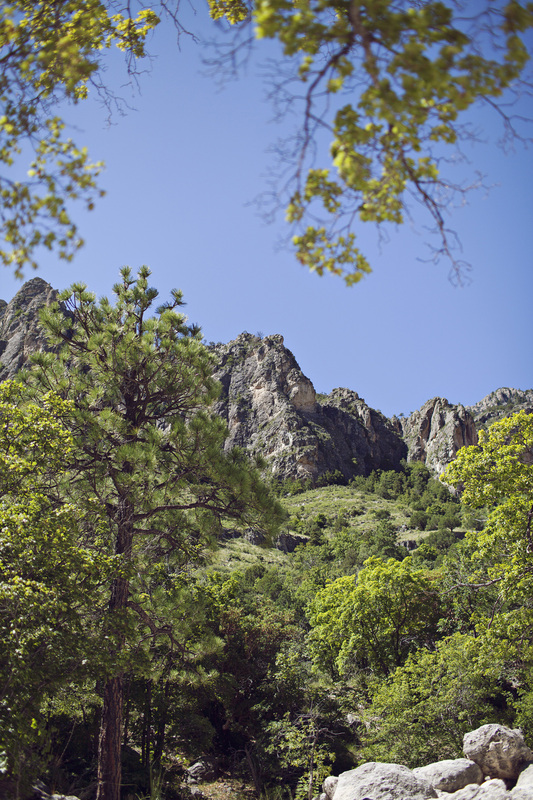 For more information about Carlsbad National Park and the Guadalupe Mountains National Park visit the national park service website. Please do not crop, edit, or alter the image in any way. All images and their copyright are property of Samantha Kurtz Photography, LLC. All rights reserved.